I think we should all just take a deep breath and really look at what counts. What counts for some, may not mean much to others but the numbers are facts which are hard to ignore. While many predict the demise of the behemoth that is eBay it is my humble opinion upon perusing the following facts derived from the 4th quarter 2007 numbers... It will be a long time before eBay rolls over and plays dead. Keep these numbers in mind while planning your future. Do you really believe in your heart and in your business mind that abandoning this kind of revenue, walking away from all of this traffic, turning your back on the billions of dollars represented across the board in the report below... Is a Good Idea? 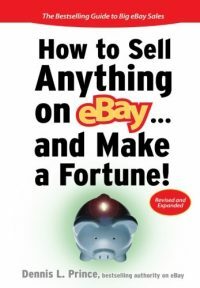 Founded in September of 1995, eBay is a global online marketplace where practically anyone can trade practically anything. • eBay has a global presence in 39 markets, including the U.S.
• eBay has approximately 276 million registered users worldwide. • Marketplaces net revenues totaled a record $1.5 billion in Q4-07, representing a year-over-year growth rate of 21 percent. With 46 percent from US operations and 54 percent from our International business. 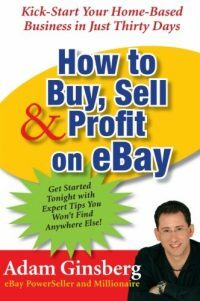 • eBay users worldwide trade more than $2,039 worth of goods on the site every second. • There were 637 million new listings added to eBay worldwide in Q4-07. At any given time, there are approximately 113 million listings worldwide, and approximately 6.7 million listings are added per day. eBay users trade in more than 50,000 categories. • Based on Q4-07 GMV, the following categories delivered $1 billion or more in worldwide annualized GMV: eBay Motors at $17.2 billion; Consumer Electronics at $6.8 billion; Computers at $4.1 billion; Clothing & Accessories at $5.6 billion; Home & Garden at $4.1 billion; Collectibles at $2.9 billion; Books/Music/Movies at $3.3 billion; Sports at $2.9 billion; Business & Industrial at $2.3 billion: Toys at $2.7 billion; Jewelry & Watches at $2.5 billion; Cameras & Photo at $1.8 billion; Antiques & Art at $1.2 billion; Coins & Stamps at 1.2 billion and Tickets & Travel at $2 billion. • While eBay is well-known for its auction format, users can also buy and sell in fixed-price formats, which accounted for 42 percent of total GMV during Q4-07. • At the end of Q4-07, eBay hosted approximately 532,000 stores worldwide, with approximately 46 percent of stores hosted on eBay’s international sites. 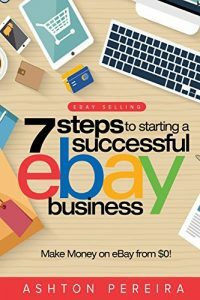 • According to a June 2006 survey conducted by ACNielsen International Research, there are approximately 1.3 million sellers around the world who use eBay as their primary or secondary source of income. • eBay members worldwide have left more than 6 billion feedback comments for one another regarding their eBay transactions. eBay facts, eBay numbers, eBay report, Q4 2007, Walk Away from eBay? $2000 a second. That’s what I’m talkin’ about!Thanks for this article, I was glad to read it, because although I don’t want to deal with selling on ebay, I am an ebay affiliate. And I’ll tell you, commission checks are nice.